A major aircraft component testing company required a compact valve for a customized panel designed to meter airflow in an aircraft engine sub-component test application. The ball valves currently being used had many limitations. The ball valve actuators were large, requiring a deeper, more expensive panel. Installation and removal of the ball valve required disassembling the two items in this tight location. The cycle life of the ball valve was limited requiring frequent replacement or repair of seals. Test engineers called Assured Automation as they had successfully used their automated valves and flow meters for previous jobs. Assured Automation’s product specialist suggested they use the VA Series compact, pneumatically controlled on/off valve. 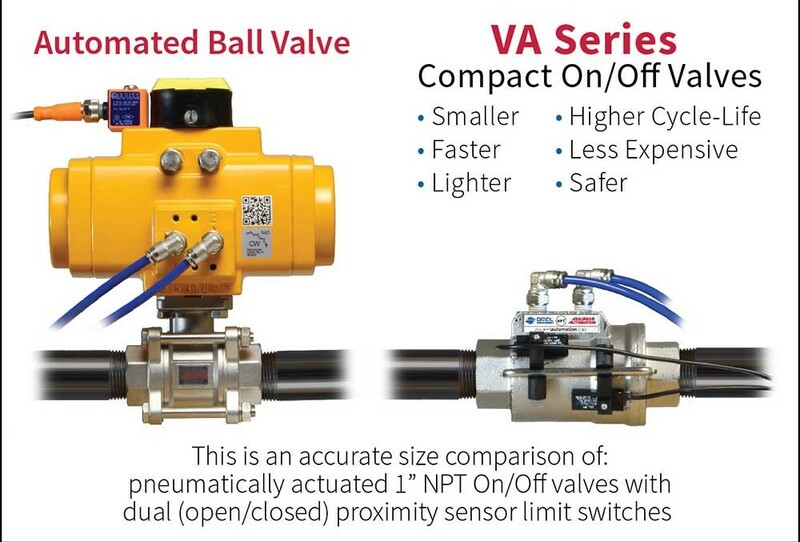 The VA Series combines a pneumatic actuator and fast on-off control valve into one body, eliminating packing glands, actuators and mounting kits, saving space as well as money. Since the actuator is part of the valve, the VA Series costs are greatly reduced when compared to standard actuated valves. Operating life has been tested to well over 1,000,000 cycles due to the balanced design which reduces friction and wear. The VA Series compact valve was installed into the custom modular test panel with remarkable success. The VA valves were compact, saving space in the panel and had a long operating life which is a huge costs savings. 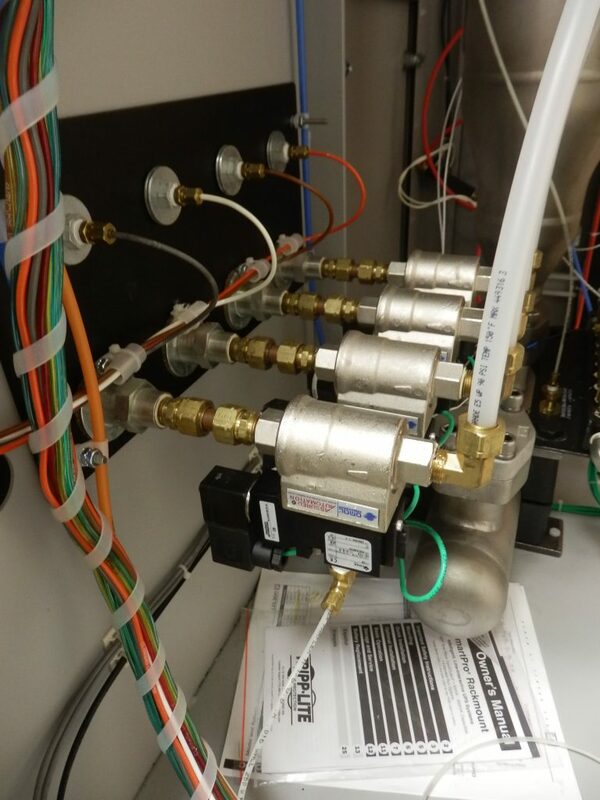 This entry was posted in Latest News and tagged compact valve, Test panel valve, VA Series. Bookmark the permalink.